A  How do we get a natural shot of 45° ? B  For a natural shot how do you adjust the speed of the player ball ? C  For a one cushion natural shot what is the parameter steering the ball 1 ? D  With a direct backspin dropshot, opened angle, what is the parameter steering the ball 1 ? E  With a backspin, acute angle, what is the use of the quantity of ball ? F  With a backspin one cushion what is the use of english ? G With a backspin, acute angle, what is the parameter influencing the speed of the ball 1 ? H On a natural follow through what is the parameter steering the ball 1 ? I - On a one cushion follow through what is the parameter influencing the speed of the ball 1 ? J  On a direct right angle what is the use of the quantity of ball ? K  On the compensation point, one for two, what is the use of english ? L  On the compensation point, one for two, what is the use of the height of attack ? M  On the compensation point, one for two, when the ball 2 is on the good way, the ball 1 get a good way too buy does not come as far as the ball 3, how do you manage to correct the shot ? N  With a piqué, what is the parameter influencing the distance covered by the ball 2 ? O  With a piqué, what parameters are influencing the backspin of the ball 1 ? P  On the backspin, acute angle, what parameters are influencing the distance of the backspin of ball 1 ? 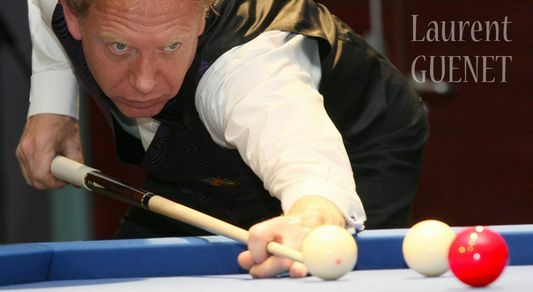 The amount of english could be 1 to 2,5 to obtain a deflection of 1 to 2,5 spaces between two spots (on the side of the table), this for a one cushion shot in the width.